Unlimited use for three full hours! 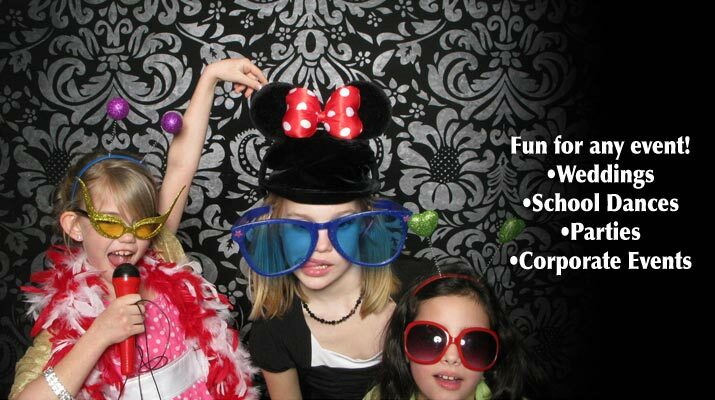 Perfect for Weddings, Parties, Special Events or any event that needs some CRAZY FUN! To schedule Call 936-569-7116 today! * Unlimited use for 3 hours! 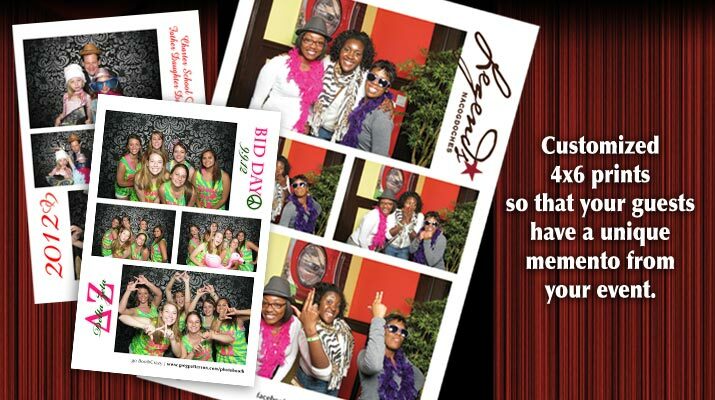 * Customized 4x6 print to remember and promote your special event! * We do all the work, you have all the FUN! You will experience some crazy-fun times and create loads of lasting memories. It's ideal for Weddings, School Dances, Office Parties, or Grand Openings. 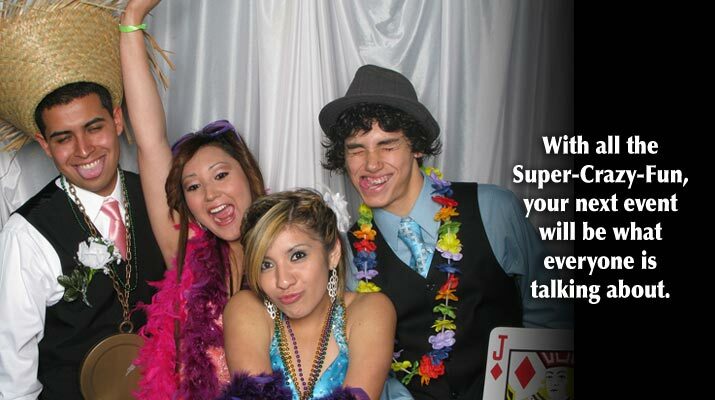 When you spice things up with our PhotoBooth, your next event will be what everyone is talking about! 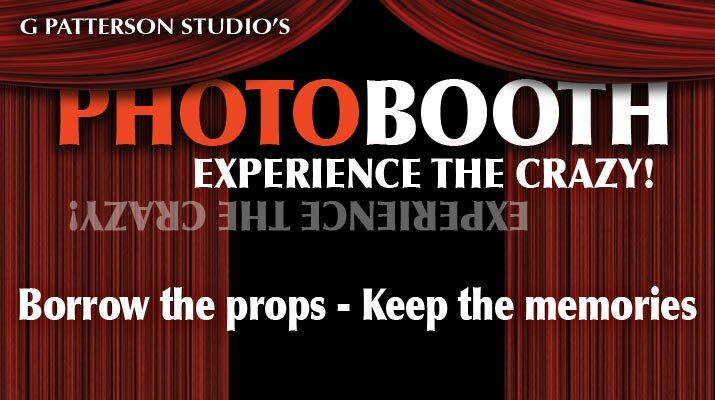 We always offer and encourage the use of our studio props for your event. We generally have hats, boas, glasses, flowers, fabrics, and more. It helps people relax, cut loose, and be extra silly. We do encourage the use of your own props in order to keep your event theme-based. Help your guests remember your special event by customizing their keepsake prints. We will create a template just for your event that has your date, event name, or logo. We do this for you at no additional cost. 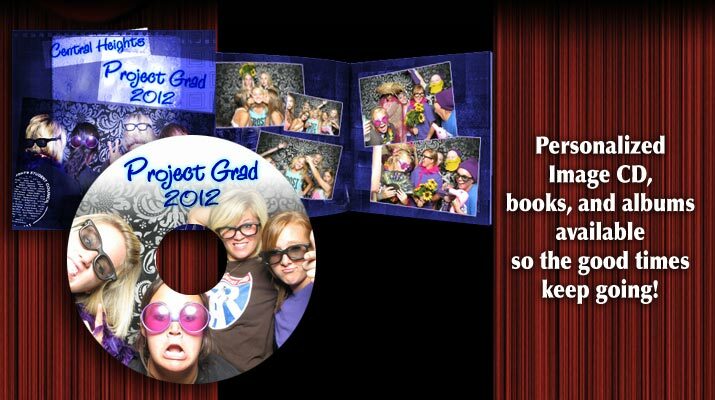 See PhotoBooth FAQ for additional details and pricing.